Speed variable from: 0 to 50 meters/ min. Max Roll dia from: 300mm to 1000mm. Ideal for Sarees, bedsheets, pillow covers, all flat linen. single roll. require no compressor. 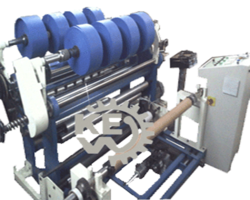 - Suitable to roll fold cloth in single width on paper tube & pvc pipe . - Batching roller(4.5 dia ) with rubber strips (2 nos.). - Revolution type meter counter. 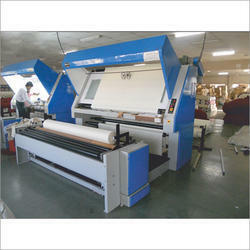 These machines are developed specially for Terry Fabric. Here in this machine, feeding & Delivery Systems are same side. We are counted amongst reckoned names in the industry, committed towards manufacturing and supplying a wide gamut of Fabric or Cloth Rolling Machine. Avail from us a top-of-the-line assortment of Fabric Inspection Rolling Machine.